Of course we were happy to hear a client expressing this wish on a sunny Saturday in May. But we also knew that we could never let go of Ludwig Oechslin’s early prototype studies. As they are the foundation for all the more advanced ochs und junior watches, we want to keep them. But, we had always asked ourselves how long it would be until someone ordered the first pendant watch by ochs und junior. The watch which was ordered, and which is pictured in these photos, is a moon phase that corresponds to Ludwig’s first idea, to the first four prototypes of the 8 part moon phase prototype series. You can read the story of the moon phase prototypes in this blogpost from February 1, 2010. 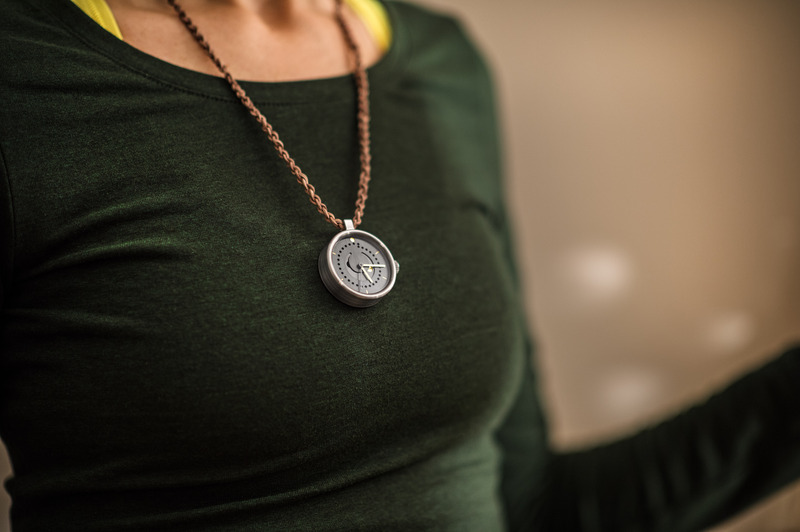 And now a woman from the Engadin region of Switzerland is the proud owner of the first ochs und junior moon phase pendant watch. 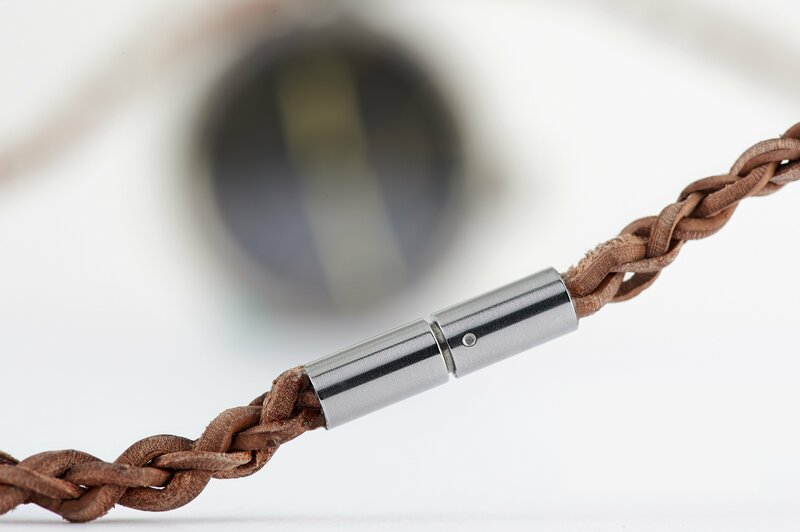 The watch’s case is made out of grade 5 titanium and it has a diameter of 36mm. The client’s name is engraved on the case back; that’s why we don’t show it. 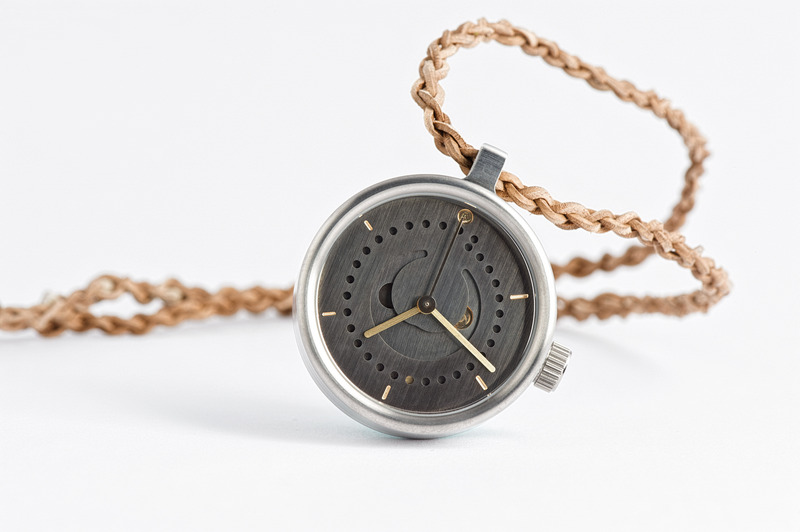 The patinated dial has been executed without any added color. 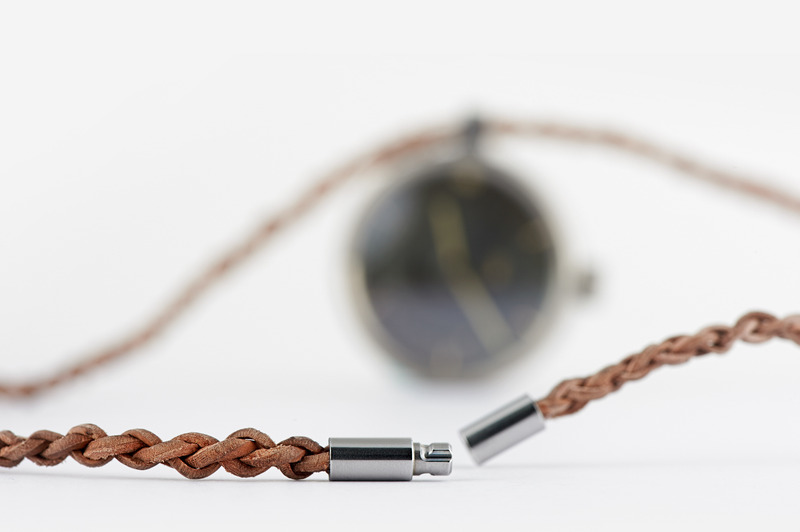 The mechanics behind the pendant watch are the same as those behind the regular moon phase. 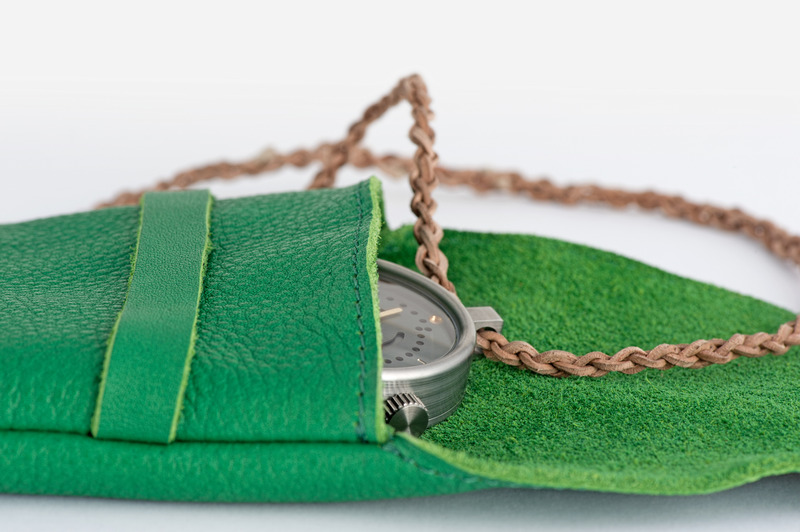 Sabina Brägger has hand-braided a robust sturgeon leather strap and sewn a matching travel pouch out of vegetable-tanned leather. 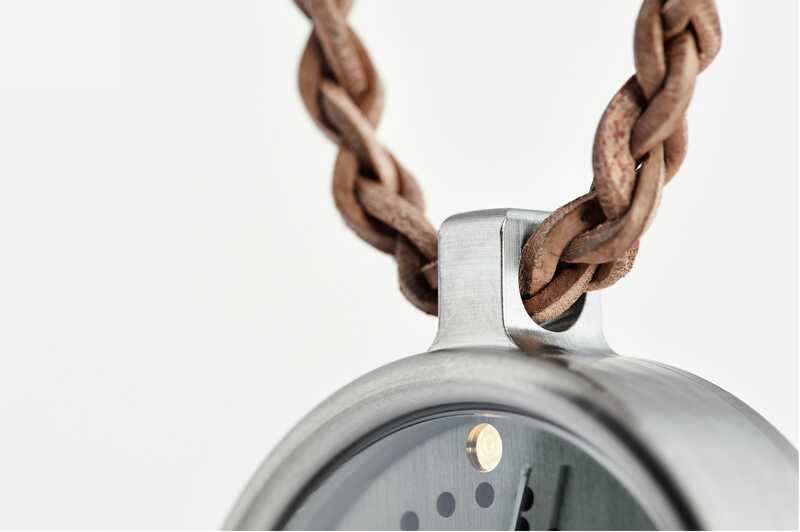 In this execution, the ochs und junior pendant moon phase watch costs CHF 8’000.- (incl. 7.7% VAT for Switzerland). It is available upon request and we manufacture each one as a one-off piece.